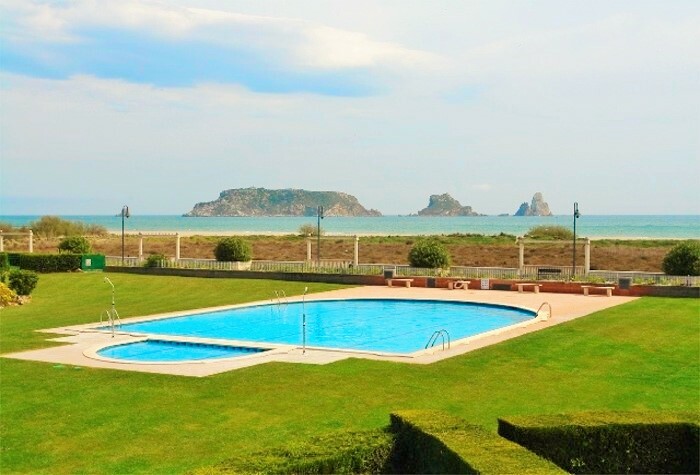 La Platera complex is located on the outskirts of Estartit in the Los Griells area. A villa urbanisation overlooking the beach with a large communal swimming pool ideal for a family holiday. Each villa has its own private garden with access through a gate to the good size communal garden, swimming pool and beach. The swimming pool has a good size children's paddling pool. There are shops, supermarkets, bars and restaurants located in Los Griells, which is within a few minutes walk. 20 minutes walk from the main resort and a car is recommended if staying in this location. This lovely villa has 3 bedrooms and 2 bathrooms. The main bedroom has a private south facing sun terrace with magnificent sea views. The villa has partial air conditioning, TV, video, DVD, hi-fi, washing machine, open plan kitchen with electric oven, dishwasher, large fridge freezer and microwave. The living room has patio doors leading to a large terrace and the garden which has direct access to the communal swimming pool. The villa has parking. This holiday house has 3 bedrooms and is in a south facing position with a small private patio and terrace. Upstairs are all the bedrooms and a bathroom. Downstairs is the living/dining room with TV. Kitchen with dishwasher and washing machine. There is also a shower room on this floor. Located only a few metres from the beach with large communal gardens and swimming pool. This villa has 3 bedrooms with an additional attic room with its own private roof terrace. The villa has 2 bathrooms, one en-suite to the main bedroom, plus an additional WC and washbasin downstairs. Equipment includes washing machine, dishwasher, TV, oven, fridge/freezer and microwave. It has a private garden with built in barbeque, a garage and further off street parking. The villa has air conditioning. This 3 Bedroom holiday home has a its own garden, use of communal swimming pool and walking distance to the beach. This villa has three bedrooms and two extra-beds along with two bathrooms. Equipped kitchen with microwave, washing machine and dishwasher. 5m x 5m private garden. Medium-car garage. The house has air-conditioning. This holiday home has three bedrooms, an ensuite bathroom, another bathroom and a WC. 2 terraces. Spacious dining / living room with fireplace and air- conditioning. Fitted kitchen equipped with microwave and dishwasher. Private garden with BBQ. Garage. 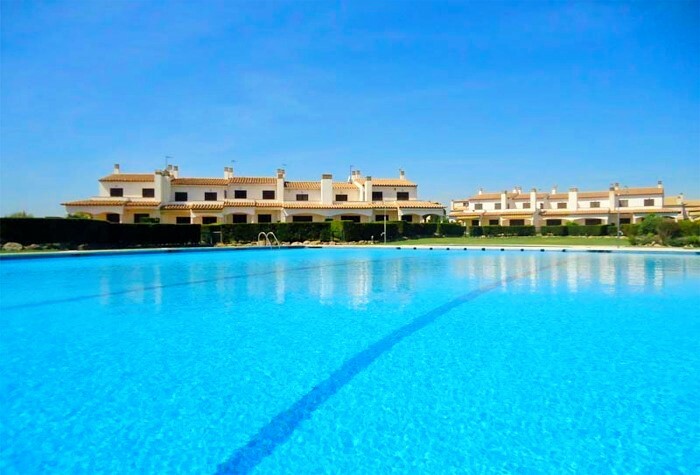 It has use of a communal swimming pool and is walking distance to the beach.